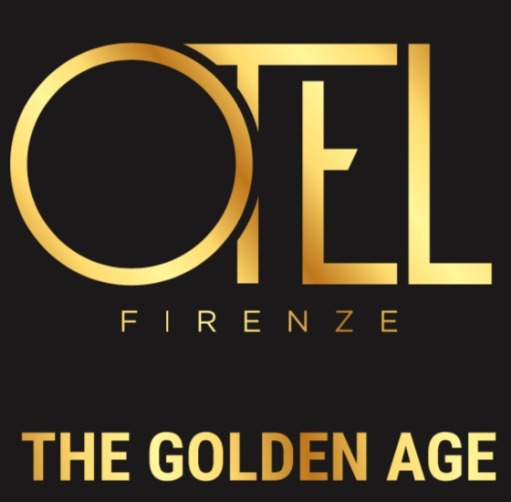 "Otel" is a restaurant / nightclub, the largest of Florence. Less than a minute from the south of Florence. Ample free parking. From 20.30 the new served dinner that combines the taste in the fun with live music of the "Bombonera", every Friday and Saturday from 22.00 the atmosphere is charged with the branded entertainment "Bombonera Live Show" straight from known Rigatoni Club Formentera . On stage, the energy of the team consists of Daniel Bellitto, Gigi Zeus and Zeus Ale (respectively live, DJ and showman of "Zeus") will sound and typical of the Balearic mood. The other resident trio will Marasco, Capasso. From 23,30 staged the disc, with a line-up of DJs increasingly rich producer of the national stage who will be attending this season: Marco Bertani, Alex effe, maximum Minucci, Marco Gabba, Marasco, Maurizio M, Leo Magro, Nicola Zucchi, Fabio Bartolini, Luca Cassani, Gianni Morri, Stefano Pain, Max Gigliotti (from Twiga) and new vocalist and MC: Hilary Voice, Alexandra, Johanna Martes and Isa B, Marika Rotondo, Eleonora Rossi, Sandro Scardia. Like music selection, Deep & Soulful House every Friday and Saturday until 4 am. Original Format for Sunday: starting at 19.30 with AperiLive and live music. 23 from the hip-hop and reggaeton sound will take possession of the dancefloor with the night marked "Twerk Mama". New "skin" even for our interior design: the latest generation of LEDs, new sound system, video walls and iridescent effects will make you live a technologically advanced clubs. The Silver room is a smaller room privèe and welcoming, with classic lines and modern colors in the decor. And 'possible to book the room for private events, and celebrate in the privacy and tranquility. Free reserved parking with 500 parking spaces (95 of which are covered). Otel is also the convention center with 1400 metriquadri exhibition areas, with various bookable rooms for events, the halls with capacities starting from the smallest, 40 people, up to the largest, 650 people. The restaurant is open Friday, Saturday, and Sunday. Dinner from a set menu, accompanied by live music, includes appetizer, trio of first, dessert, water, wine (a bottle every 4), with a reserved table until 23.30, at a cost of € 25 per person. Reservations are required. And 'it is including the entrance to the disco. the public entrance for after dinner from 23:00 approx: entrance with drink € 15 all night. Commercial music. VIP table for the disco entrance at midnight, with a bottle of hard liquor every six persons, chosen from gin, vodka, rum with a service of soft drink bottles (tonic, lemon and cola), or bottles of champagne with plateau of fresh seasonal fruit, at a cost of € 30 per person. Reservations are required. Sunday is indissoluble reconfirms the AperiLive Otel, the Italian aperitif with live music and DJ sets to follow and evening Twerk Mama with reggaeton music and hip-hop. Entrance with drink man / woman € 15. Aperitif with dinner buffet, one drink, and side table with about one session every two people reserved up to 23.30 to 18 € per person. Reservations are required. Also on Sunday you can book dinner served, always at the cost of 25 €, same formula on Friday and Saturday. In both the formulas of the dinner it is already included the entrance to the disco. VIP table for the nightclub entrance from 23:00, with a bottle of hard liquor every six persons, chosen from gin, vodka, rum with a service of soft drink bottles (tonic, lemon and cola), or bottles of champagne with fresh fruit plateau in season, at a cost of € 30 per person. Reservations are required.